« Happy Birthday Chicken Boys! 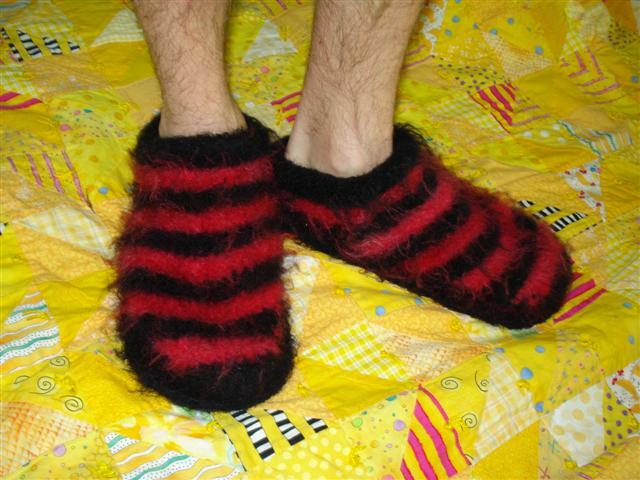 Zach has been begging for new slippers for months. The ones I made him 3 years ago finally wore out. So, I made a new pair from this pattern. It’s very easy to follow, once you put aside your doubts and just have faith that it will all work out in the end. 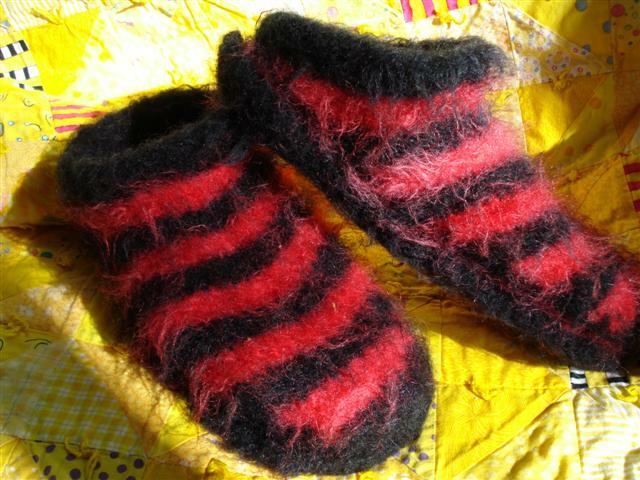 I’ve made slippers for at least 4 people, including myself (and I rarely make anything for myself!). I used Lamb’s Pride yarn, which produced that great fuzzy look. They’re like Dr. Seuss feet!